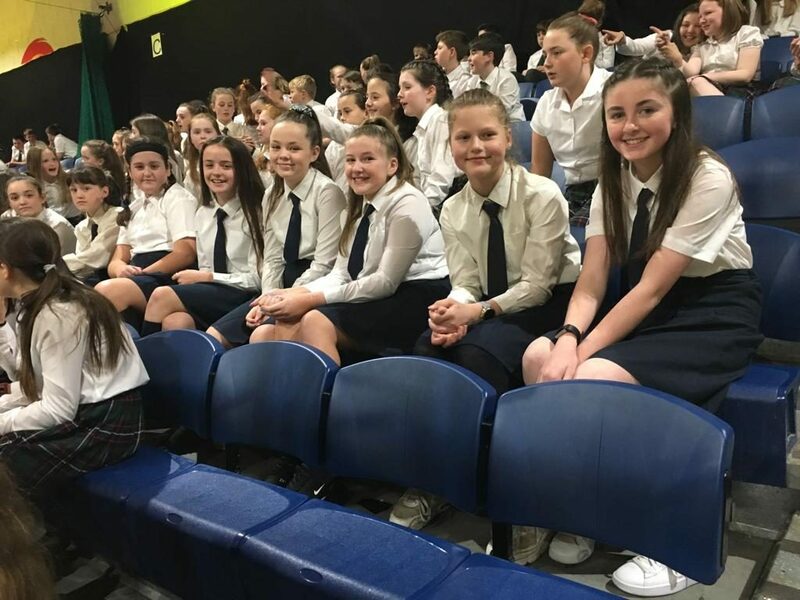 After many practices and hard work Fifth and Sixth Class performed in the National Children’s Choir on Friday the 5th of April in the Tallaght Basketball Arena. The girls performed sixteen intricate songs in English, Irish, Latin, Swahili and even Medieval Latin! One of the girls’ favourite pieces was ‘Listen to the Rain’ where the girls used body percussion to create the sound of a rainstorm. The National Children’s Choir was a fantastic experience. Our students learned so much about singing and gained a new appreciation for music. Well done to all the girls who worked incredibly hard since Autumn, in preparation for the jaw-dropping performance this month.